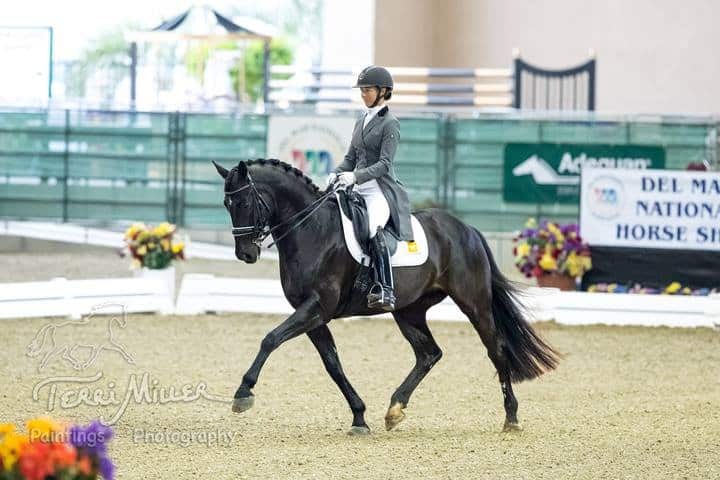 Born and raised just outside of Detroit, Michigan, Shannon has been riding since she was 10 years old, specifically Dressage since she was 20. She had a successful training business in Boulder, CO, where she met her now husband Steffen Peters , at a clinic , and moved to San Diego in 2002. They operate “Arroyo Del Mar” in beautiful San Diego, California. Shannon has used Evitex for more than 8 years, not only for mares that had hormonal issues, but specifically for her own competition horse, Flor De Selva, that had developed Cushings symptoms. She finds it to be an extremely useful tool in managing both, with a lot of success!!! Shannon is currently competing her own “Disco Inferno” in 2017 at PSG/I1, and her new mount, Illuster at CDI PSG/I1, in hopes of qualifying for the National Championships in Gladstone, NJ.